Lamborghini started building high-class sports cars in 1964. The two-seater Miura undoubtedly ranks among the legendary models produced. It was presented for the first time at the Turin Motor Show in 1965 and the motoring public was very enthusiasr. The transverse centrally mounted V12 engine was designed by Lamborghini’s chief engineer Paolo Dallara and represented a revolutionary technical vision at the time. The coupe body was only 105 cm in height, and had been designed by the young Bertone designer Marcello Gandini. An experimental car designated “Jota” was later built on the basis of this super sports car under the guidance of racing enthusiast Lamborghini test driver Bob Wallace. This car had a body with drastically reduced weight and a 440 tuned engine that accelerated the car in the sprint from 0 to 100 kph in less than 4 seconds. 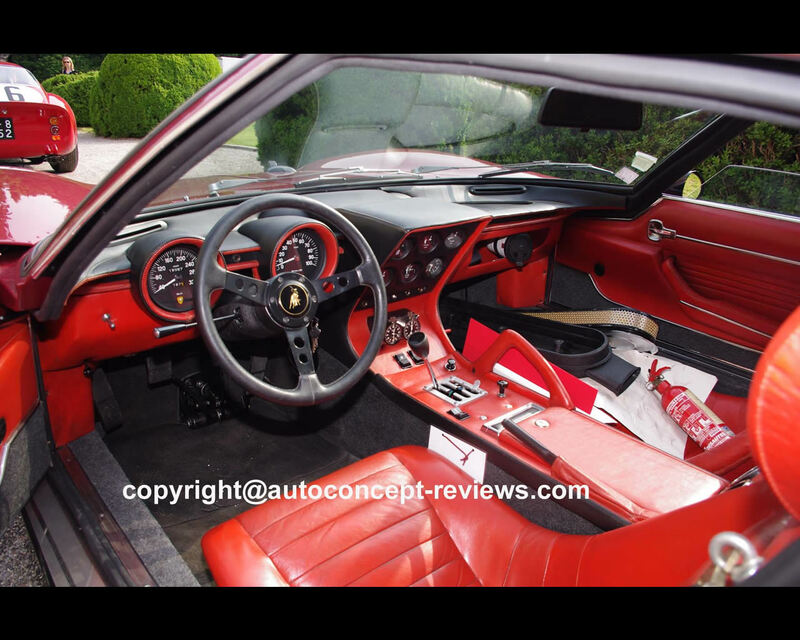 At the beginning of the 1970s, highly demanding customers commissioned Lamborghini Miura sports cars close to the specifications of the Jota test vehicle. 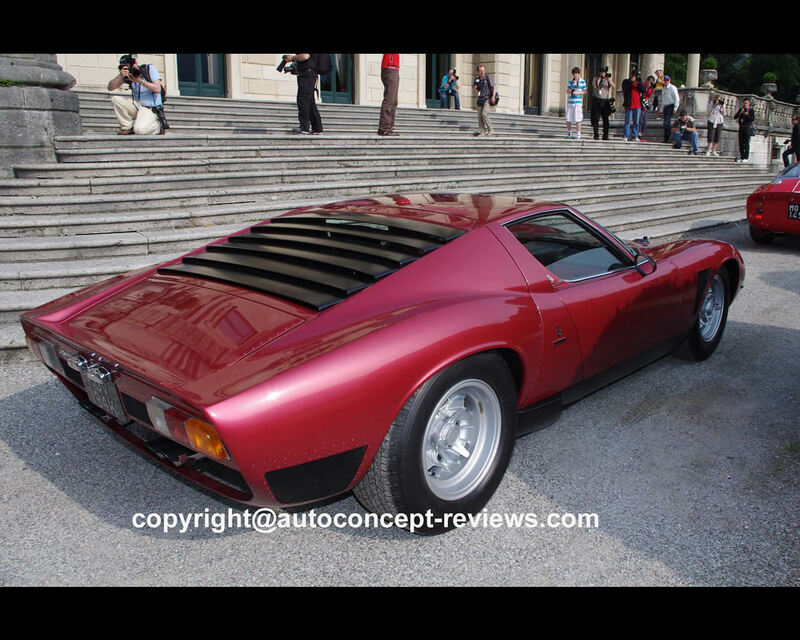 As a consequence Lamborghini produced four Miura designated SV/J similar to the Jota. 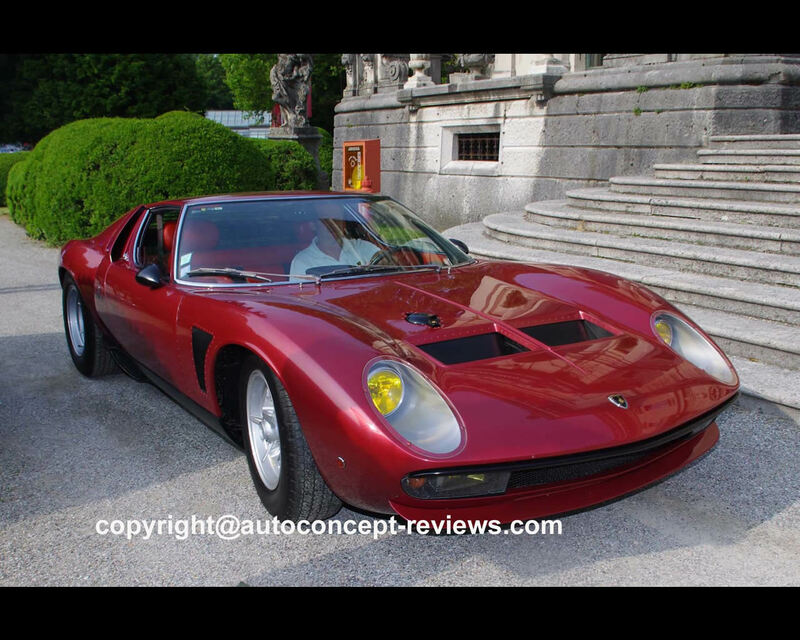 At 420hp, the engine output was 30 hp higher than that of the improved Miura SV series version. The rare Lamborghini of these photos was supplied as a new car to Corsica. A complete restoration was carried out in 2011.